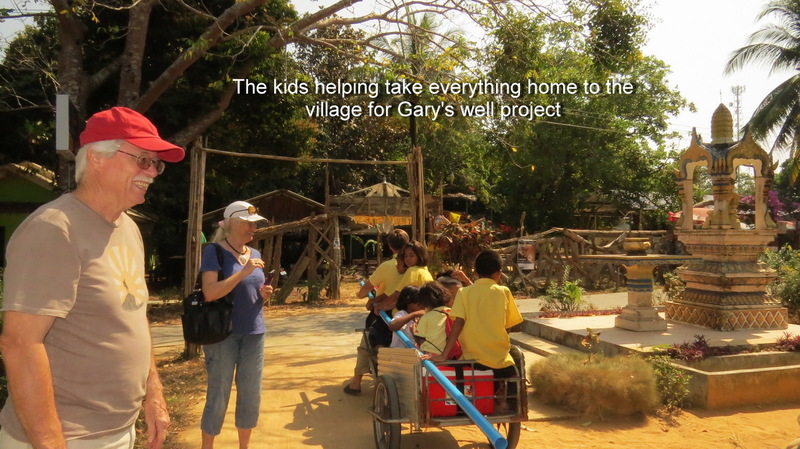 Gary and George went to the village by bike, walking, and raft. Well #1-is used for washing in the center of the village. Fortunately Philip had the well cleaned by people climbing down the well and removing the debris. He also purchased a new cover, as the well was open before and children were throwing objects into the well, thus easily contaminating it. This well is about 1 meter in diameter and about 4-5 meters deep. It has a bicycle for pumping the water into storage tanks. 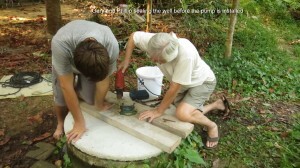 We inserted a sump pump into the well to mix the Terra Clear (nano colloidal silver). We were successful cleaning the well, storage tanks and pipes. Phillip was very please as were the villages !!!! 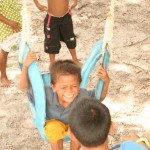 Well #2- located in the jungle behind the village and is the only used for drinking water. It is similar in diameter and depth as well #1. History: well had no cover and people got their water by lowering a plastic bucket on a rope. This is an old system and easily contaminates the well as the bucket and rope are put on the ground continuously and this induces bacteria into the well each time it is lowered into the well water. Phillip purchased a new cover. 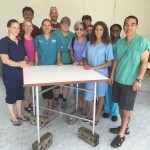 AFV added a new hand pump and cleaned the well. The pump was not attached to the cover as it is not sufficiently strong. It was attached to hard wood boards and they were tied to the cover. The villagers are fisherman so this is a good system. The well is accessible for future cleaning and the pump is secure, yet removable. The villagers with the supervision of Phillip will add a concrete slab around the well to improve sanitation. 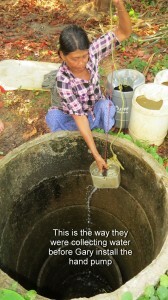 We will return to the wells in the rainy season to inspect, test and clean again. We instructed Phillip on how to clean the well and left supplies with him so he can monitor and clean the wells until we return. The villagers were very happy. 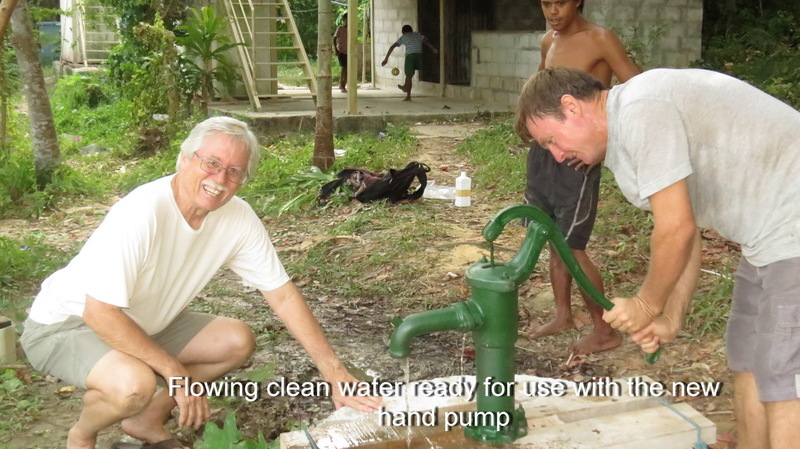 They had many laughs on learning how to use a hand pump.